DAY FURS A+ GARMENT. 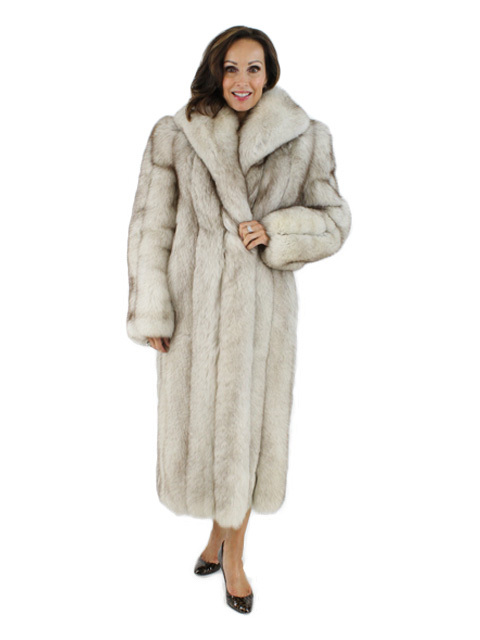 Women's blue fox fur coat, like new condition, top quality skins. 3 European hook and eye closures, shawl collar, Saga Fox label, pristine silver lining with no monogram. Exceptional quality and condition.